Before moving to Cornwall I lived in London for many years which is where I made some of my dearest friends. My girlfriends and I used to meet up much more regularly pre-children but, since some of us have had little ones, this beloved tradition has fallen a little by the wayside due to busy lives and babies taking over. 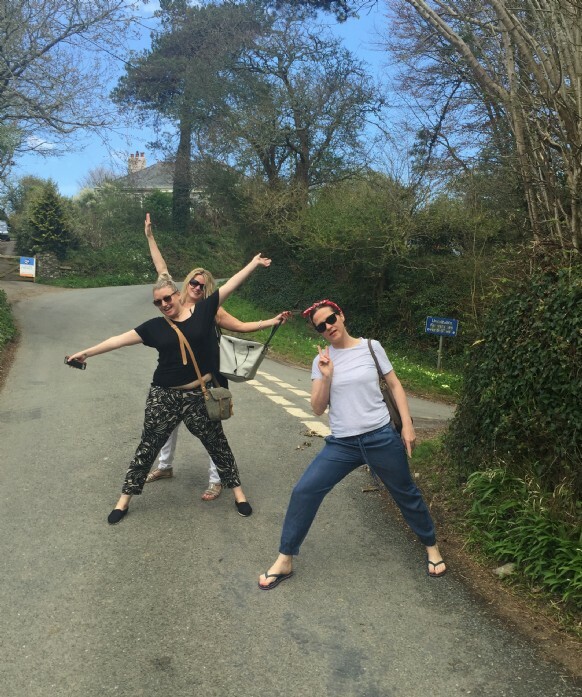 However, when we had the opportunity to stay at Phillimores last weekend we jumped at the chance and had been eagerly looking forward to our mini reunion in the rolling Devon countryside. Lisa and Ally made good time driving down from London on the Friday evening and had the Prosecco chilling by the time I arrived from Cornwall and Sarah arrived from Northamptonshire. 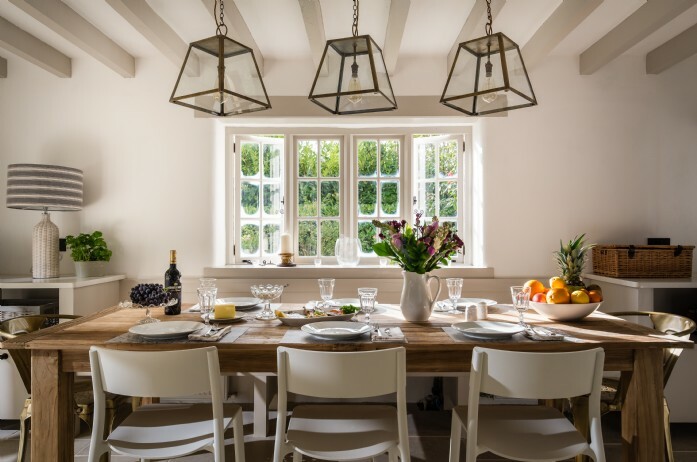 The house itself was absolutely stunning - the perfect blend of stylish and welcoming and, with the Prosecco poured, we quickly made ourselves at home. Sarah had made the most delicious lasagnes so we popped them in the Rayburn to warm through and it was here that we began our blissful weekend of chatting, laughing, drinking chilled wine and eating good food. Phillimores exudes an understated no-fuss style which we all adored. 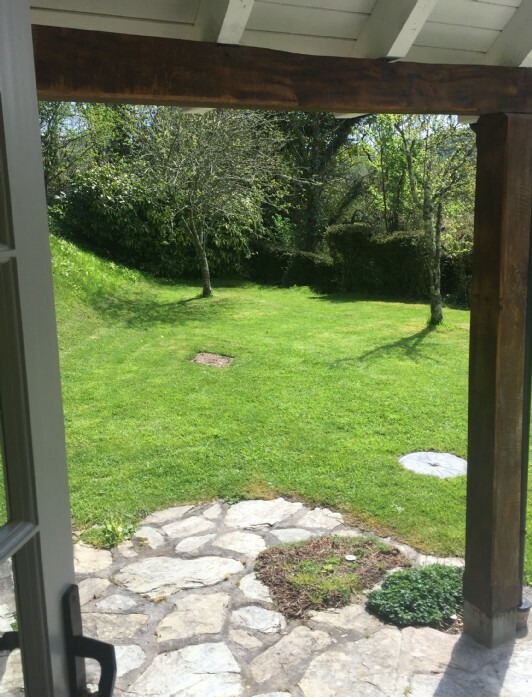 It felt homely and welcoming from the outset and no sooner had we kicked off our shoes, we found ourselves slipping into holiday mode with ease. 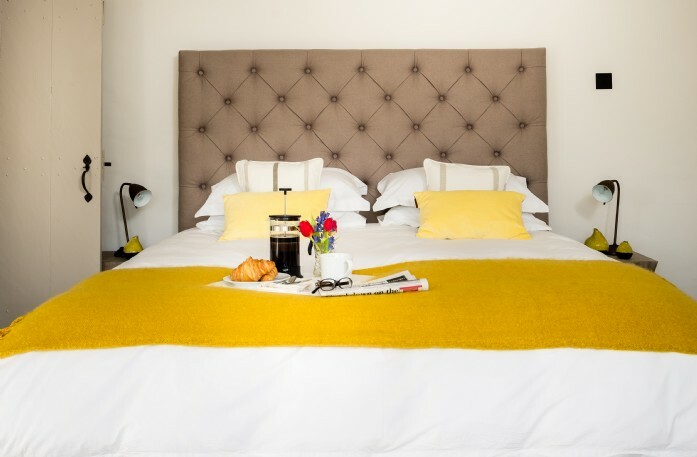 Lisa and I scored the master bedroom and were delighted with all the thoughtful touches such as the automatic lights in the built-in wardrobes, hairdryer and luxurious linens, whilst the bathrooms had seriously fluffy white towels and heavenly-scented bathing products. We spent our first evening nattering like we’d never nattered before, and the evening whizzed by as we caught up with one another and retold tales to make us laugh and reminisce. After a blissful night’s sleep (seriously, the bed was divine) I was the first awake so tip-toed downstairs and threw open the kitchen doors to be greeted by an idyllic scene… the first tentative rays of golden sunlight created a dappled effect through the branches of the apple tree and the clear blue skies were alive with birdsong. Due to our excitement at being reunited I hadn’t noticed the views the previous evening, but the ambrosial vista across the valley made me catch my breath as I settled down with a freshly brewed coffee, buttery crumpet and the weekend papers. Having a wonderfully lively young toddler back at home, I wasn’t used to this level of relaxation and felt almost guilty for enjoying a snippet of perfect peace and quiet before the others awoke and joined me on a blanket on the lawn. Once breakfasted, showered and dressed, the four of us decided to explore the local area on foot and take in some of the surroundings. The owner had recommended the local garden centre for lunch so we walked there to see what they had on offer. 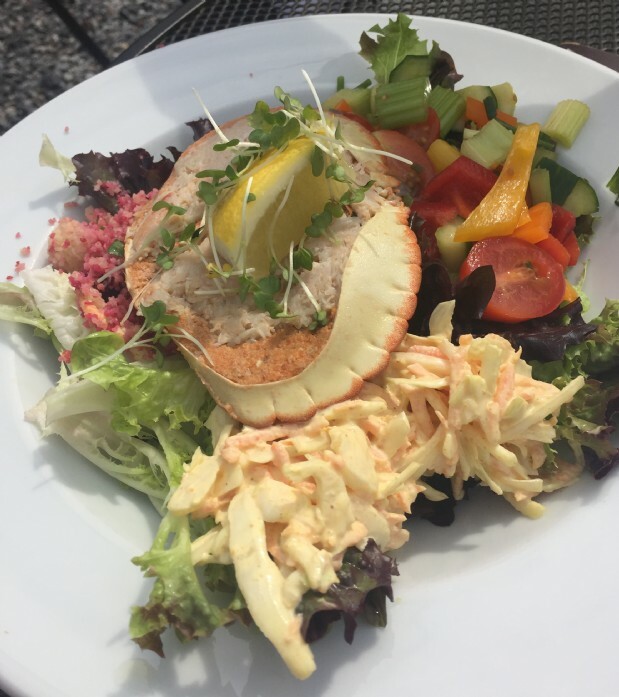 Sarah’s dressed crab salad was delicious, whilst Lisa’s fresh prawn sandwiches were suitably doorstep-like and beautifully fresh. Due to the large portions we didn’t indulge on this occasion, but the slices of homemade cake looked incredible (and HUGE!). As we sat and lunched in the afternoon sunshine, it was rather poignant that a little robin was twittering around us and even hopped on the table at one point. 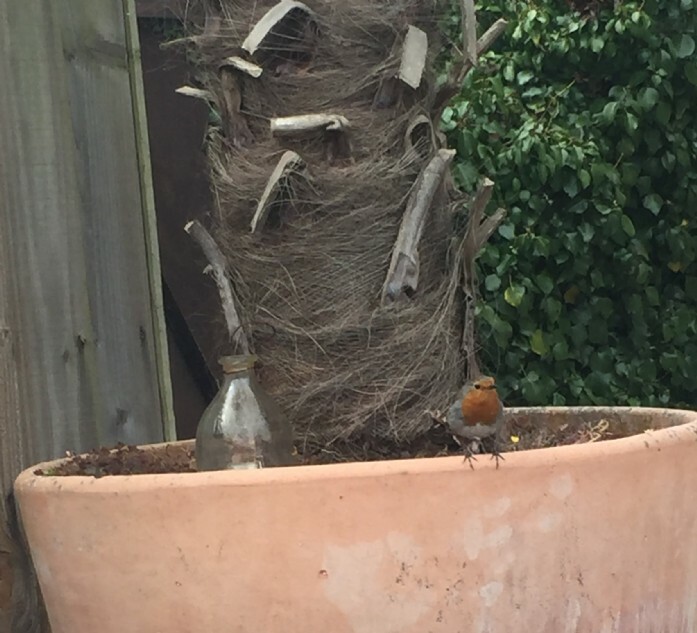 The fifth member of our merry bunch (Robin) had passed away a few years previously and we often found solace in seeing this cheery garden bird and remembering our beautiful friend. With tummies full and hearts warmed, we set off in search of the local village of Loddiswell to enjoy a cold drink in the sunshine in the local pub. 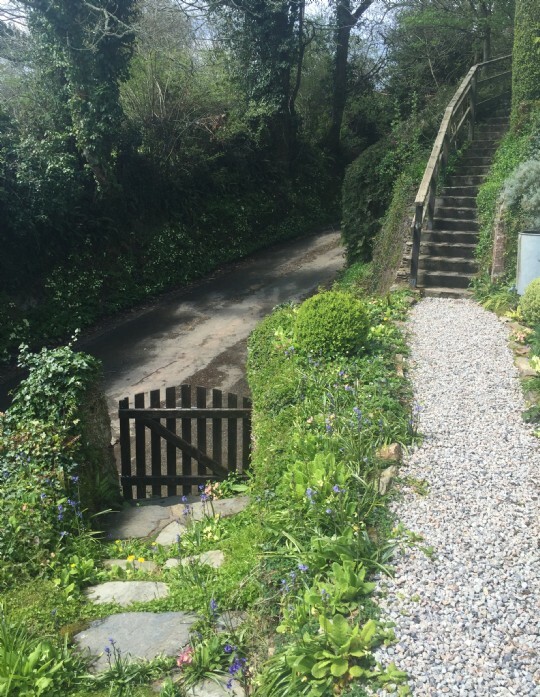 The walk through the lanes was beautiful and we enjoyed seeing the tumbling hedgerows scattered with a rainbow of primroses, campions, bluebells and wild garlic. After walking the zig-zaggy very uphill (!) road to Loddiswell we quenched thirsts in the local friendly pub before realising that there was a much more picturesque and direct route back to the house along the country lanes. A cosy evening followed of movies enjoyed under blankets in the living room, and we all commented on how the weekend had gone too fast and how we’d love to return to beautiful Phillimores one day soon. Before heading home we visited the nearby coast and bravely dipped their toes in the sea before setting off on our homeward journeys. A welcome tonic indeed, and the perfect end to a blissfully relaxing girls weekend away in the Devon countryside. Marketing Executive Claire is passionate about our glittering portfolio and divides her time between writing copy, pitching stories to editors and being super mum to new son Indy.